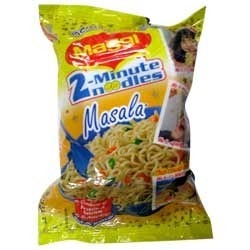 Special Institutional PackMPR INR 246Shelf Life : 6 monthsMOP: To prepare 1 plate: Empty Tastemaker sachet into a vessel with 225 ml of drinking water. Break 1 noodle cake into pieces and add to the vessel. With our expertise and trustworthiness, we are engaged in offering an optimum quality range of Maggi Cuppa Mania. 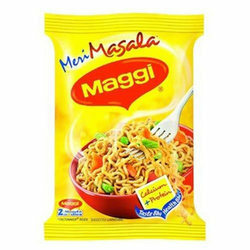 Being a customer oriented organization, we are highly engaged in trading an optimum quality array of Maggi Noodles. We are engaged in offering our clients Maggie Chicken Noodles that is known for its taste and are widely popular amongst the clients. These Noodles are easy to cook and make a satiating meal. Superior in taste, our noodles give instant energy and are an ideal snack that can be taken in between meals. This array is available ta industry leading prices.